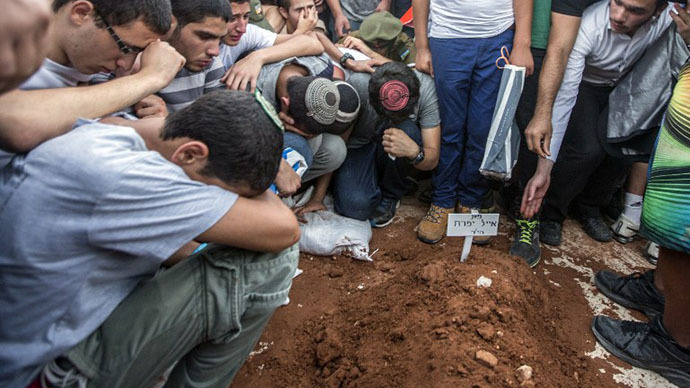 Israeli police are investigating the death of an Arab teenager, whose body was discovered in a forest near Jerusalem. He may have been kidnapped in a revenge attack after three Israeli teenagers were found dead after an apparent abduction. The body of Muhammad Hussein Abu Khdeir, 17,was charred and bore signs of violence. It was found hours after police were informed of a youth being forced into a car in a Palestinian neighborhood of East Jerusalem, according to Israeli media. Israeli Police spokesman Micky Rosenfeld said the youth was possibly kidnapped. Police later “discovered a body in the Jerusalem forest and were looking to see if there was a connection between the missing youth and the body that was found," he said as cited by Reuters. Dozens of angry Arabs held a rally in in the neighborhood of Shuafat, where the alleged kidnapping happened, and clashed with Israeli security forces early Wednesday after the news of the killing broke. Many of them are convinced that the boy was abducted and killed in a revenge attack, a version reportedly being investigated by police. 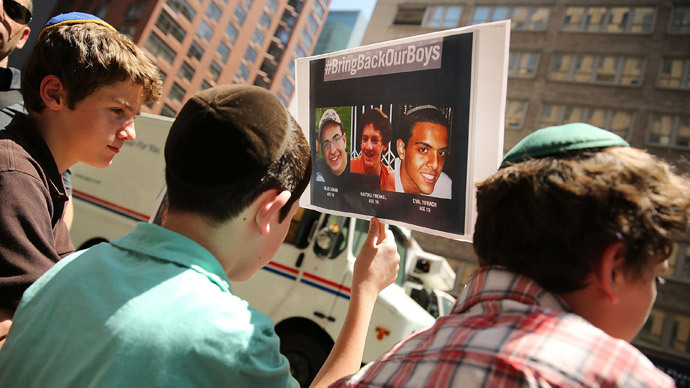 It comes after radical Israelis held protests on Tuesday, blaming the government for not responding properly to the apparent kidnapping and killing of three Israeli youths, who were buried on Tuesday. The crowd was chanting slogans such as “Death to the Arabs” and “No Arabs, no terror attacks.” At least 47 of them were detained by the police. Smaller incidents of anti-Arab violence were reported in Jerusalem on Tuesday as well, including an attempted attack of a masked man on an Arab McDonald’s patron. Palestinian President Mahmoud Abbas called on Israeli Prime Minister Benjamin Netanyahu to condemn the killing similarly how Abbas himself condemned the kidnapping of the Israeli youths. A senior official for Abbas’ movement Fatah said the Israeli government must take responsibility for the crime. "The Israeli government bears responsibility for Jewish terrorism and for the kidnapping and murder in occupied Jerusalem," the official, Dmitry Diliani, told Reuters. The killing of the Palestinian teenager provoked condemnation from Israel's right-wing Housing Minister Uri Ariel. "The murder of the Arab youth is despicable and shocking. I call on the police not to spare any effort and to apprehend the murderers as quickly as possible and to bring them to justice," Ariel said in a statement on Wednesday. Israeli-Palestinian tension is running high in the wake of the kidnapping of three Israelis, who were found dead on Monday. Israel blamed the militant movement Hamas for the abductions and responded with mass door-to-door searches and arrest in the Palestinian territories. The crackdown sparked outraged and led to numerous clashes, with several Palestinians killed in various incidents over the two weeks. Palestinian radicals intensified their attacks on Israel, with dozens of rockets fired from the Gaza Strip. 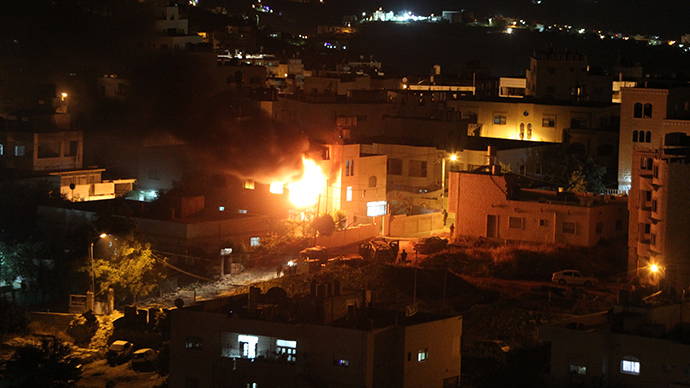 The IDF responded to those with dozens of airstrikes at what it called Hamas sites in the Palestinian territories.